Eminent American jurist, born Weymouth, MA, he arrived in Washington in 1795. Cousin of President John Quincy Adams, he graduated from Harvard and studied law. 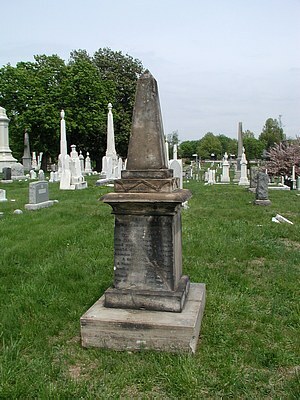 He married a sister of James Greenleaf and served as his attorney. 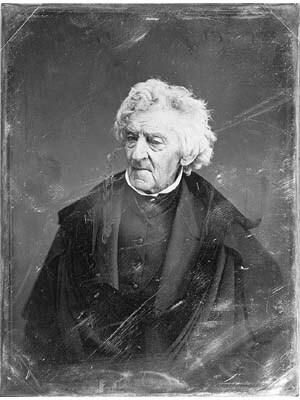 Cranch was appointed by President John Adams, his uncle, an associate justice of the Circuit Court of the D.C. (1801-05). He was a reporter to the Supreme Court of the U.S. (1801-1815) and elevated to chief justice of the Circuit Court (1805-55). 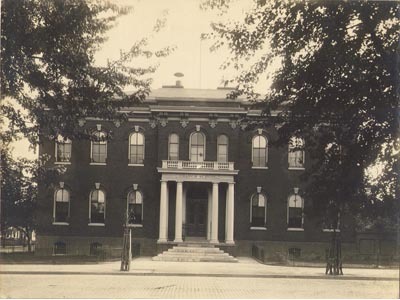 He was a member of the first school board and was trustee of the public schools (1805-15). 12th and G Street S.E. By the 1960’s the school had been reduced to a modest 2-story building. 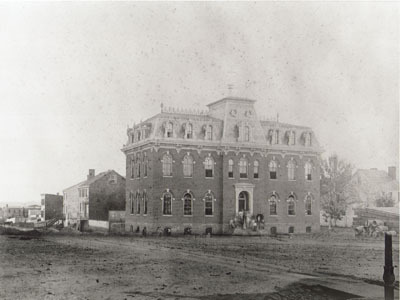 The building was demolished (date unknown) and today the site is occupied by an architecturally insignificant Salvation Army building.